1427 East 6th Washington, MO 63090 is now new to the market! Spacious ranch home it’s over 1700 sqft of living space. Two bedrooms on the main floor with large master bedroom upstairs. Large Kitchen connects the Dining Room to living room which has a nice fireplace. Above ground pool and covered patio in the backyard. One car garage and off street parking. 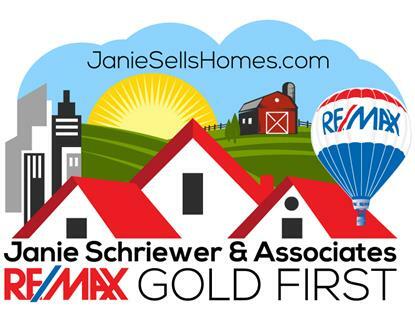 Welcome to the Janie Schriewer & Associates at RE/MAX Gold. Janie just wrapped up her 30th year in the business & over that time has been adapting to the always-evolving Real Estate industry. In recent years she has added 3‘New’ members: Her Son Derek—Licensed Buyer & Technology Specialist, and Buyers agent Melissa Kelley. 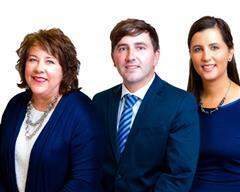 We are all full-service REALTORS who can assist with selling your home and/or finding you your next home. The added professionals mean potential Clients have more convenience for showings & direct communication with Franklin County areas real estate Leaders. Communication is crucial in Real Estate & Janie leads by example for our team as she prides herself on availability to her clients. Whether you prefer texting, phone calls, emails, or instant messaging, JanieSchriewer & Associates can accommodate. Whenever you want to talk to us or work with a REALTOR, the Schriewer’s have the experience & care to offer the right advice for your situation. We know the intricacies of negotiating a deal from the original offer to the signatures at closing as well as alleviating all of the hurdles that may arise in between. We treat you just like family. We care about you and what is best for you. Call Us today. Thank you as always for friends, past clients and customers we love referrals. Talk to you soon.